While female actors are often caught saying that they would want a career graph like Meryl Streep's, Tabu's career back home is the closest in terms of distinct career choices that has made her presence relevant through the decades. Tabu has done it all yet she manages to bowl us over in Andhadhun. That Tabu is a fine actor who has constantly reinvented herself in the past three decades is no news to Hindi film fans. Yet, every single time we watch her perform, it leaves us wondering that the actor, who has played characters ranging from a dutiful housewife who has an affair to a woman who falls in love with a man older than her father, still has so much more to offer. Another example of Tabu’s mastery can be seen in this week’s release, Andhadhun. In the Sriram Raghavan film, Tabu plays Simi. The wife of a yesteryear star but she has much more up her sleeve than she reveals. While the film revolves around Ayushmann Khurrana’s Akash who is embroiled in a murder mystery, it is Tabu’s Simi who has the meatier part here. From the point of her introduction, we know that her character is ruthless but the extent of her ways are slowly peeled. 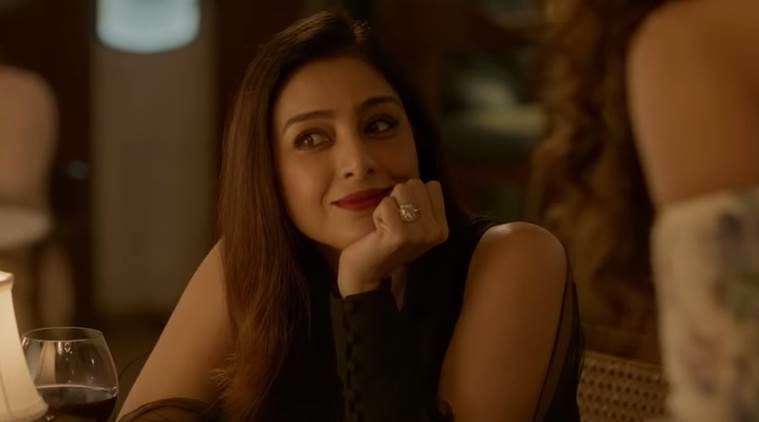 Tabu’s Simi transforms from a seductress to a street-smart woman and she does it so effortlessly that it is impossible to watch anyone else on the screen. Tabu plays Simi, a street-smart seductress who knows how to get her way. While female actors are often caught saying that they would want a career graph like Meryl Streep’s, Tabu’s career back home is the closest in terms of distinct career choices that has made her presence relevant through the decades. She can act and there isn’t a role that she doesn’t play well. Unfortunately for Indian cinema, they aren’t writing as many roles for Tabu as they should. Throughout her steady career, if she picked the likes of Saajan Chale Sasural and Biwi No 1, she balanced it out with the likes of Chandni Bar and Virasat. Doing a film like Haider was a bold choice, but not for Tabu who has built her career around similar choices. Even to this day, Tabu can shift from a Golmaal Again to a Drishyam and in both these cases, the audience will be equally convinced. In a recent chat with Rajeev Masand, Tabu elaborated on some of her most famous roles and when quizzed about the roles she has picked, she nonchalantly said that these are the ones that naturally come to her. She isn’t over analysing her choices but knows what she is supposed to do when she is supposed to do it. In the business which runs on the ‘out of sight, out of mind’ motto, Tabu has never been out of sight and her work has always kept her in our minds.